I thought it was time to start sharing some of our wedding details. July & August were so busy with all the details of planning our wedding. September was busy with our family starting school which means the kids are going back to school and we are going back to work. Life is finally starting to feel like it is somewhat slowing down or at least falling into more of a routine each day. Which hopefully means I can dedicate more time to blogging. 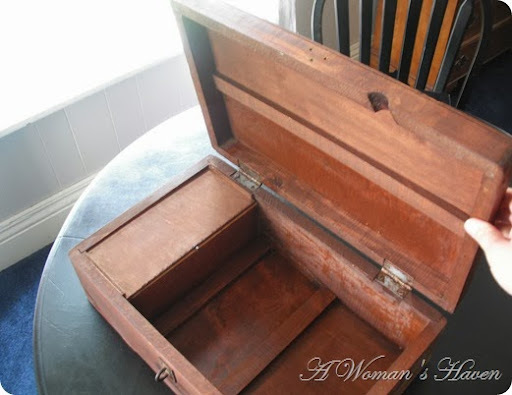 I found this box at a yard sale for $5 in May. 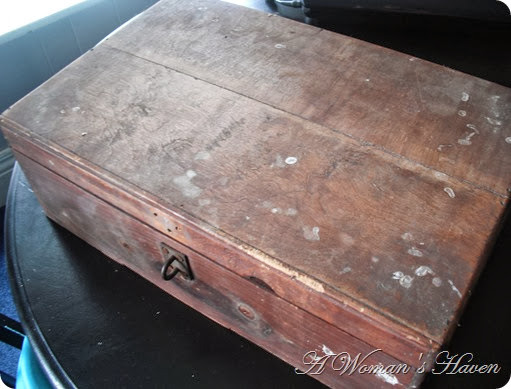 It was in need of a good cleaning and a coat of white paint! 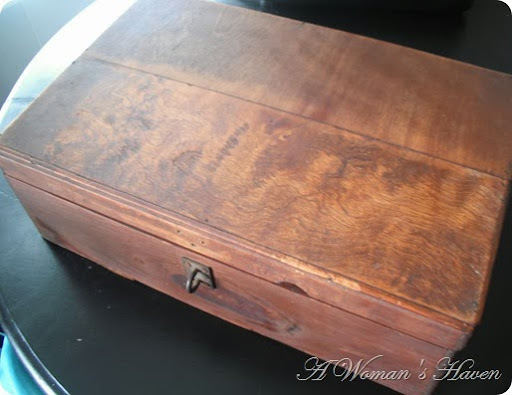 Once cleaned I really liked the patina of the wood and decided to keep it as is. 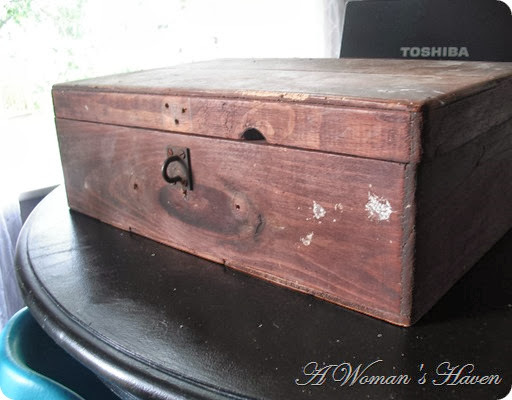 This wood hue of the box is what set the tone for the other wooden items I was using in our rustic wedding décor. 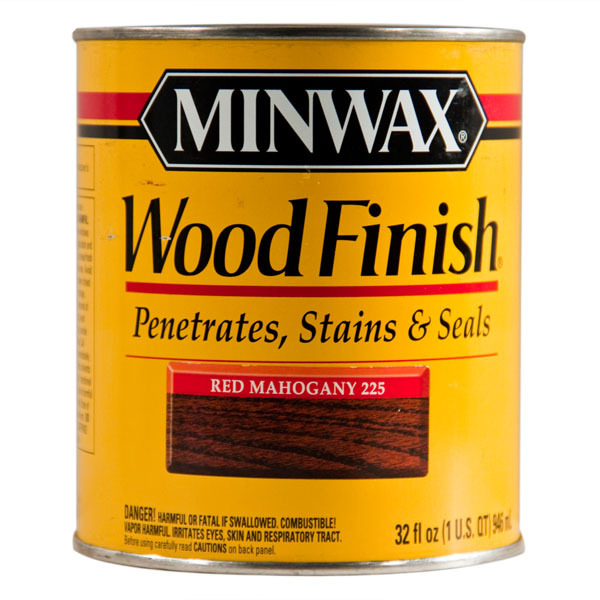 I found Miniwax Red Mahogany that matched really well! 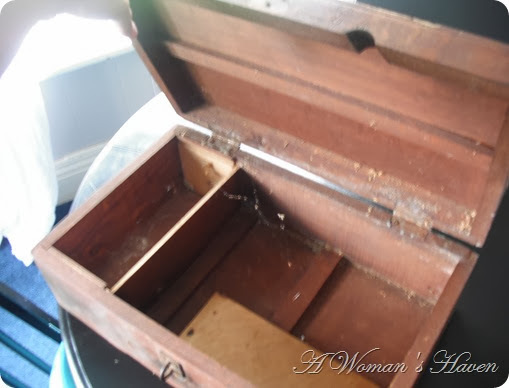 I gathered all of the items I wanted to stain. The list of items kept growing all summer. I finally had a day where I could lay out most everything and begin transforming all my finds. I found these cheese boxes at Goodwill for $1.99 & $2.99. 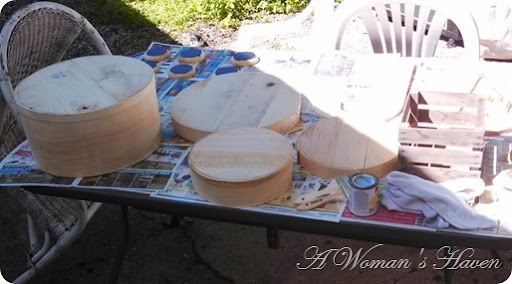 I wasn’t sure what I was going to use them for, but I figured I would stain them and use them somewhere. 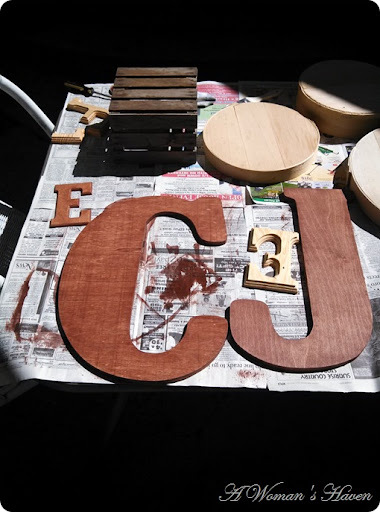 All of the wooden letters came from Hobby Lobby. 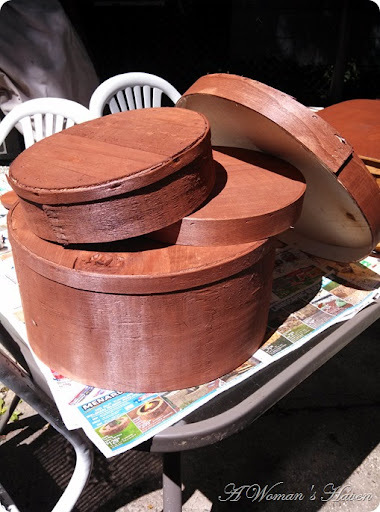 One coat of stain was enough to change them into the shade I needed. 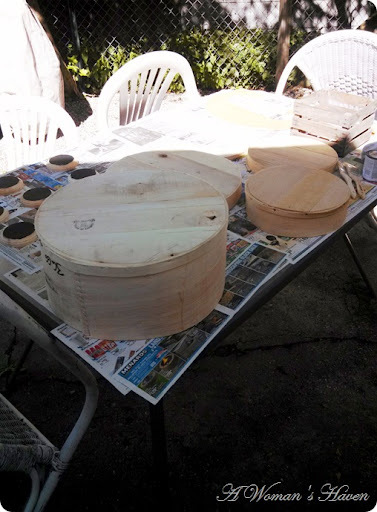 Once stained I realize I would use the cheese boxes as a cake stand. Here are all of the items being used as reception décor! 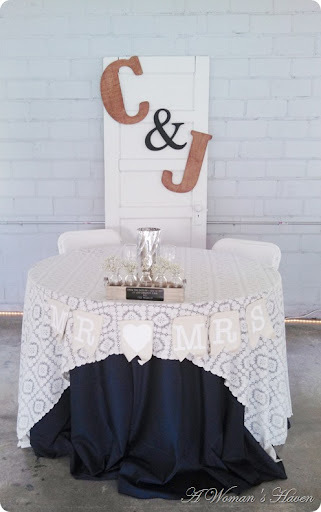 The wooden letters hung on an old white door behind our sweetheart table. 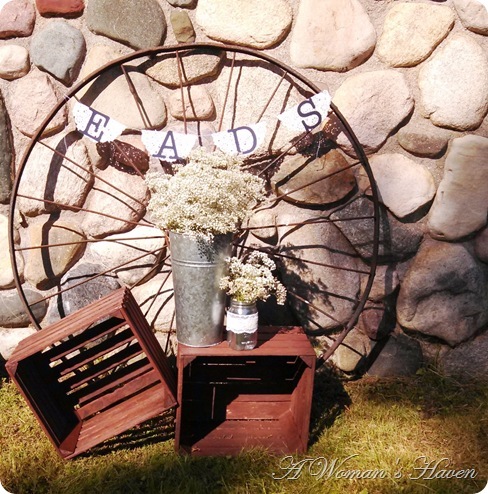 Crates were placed around the reception venue with flowers and other various décor items. 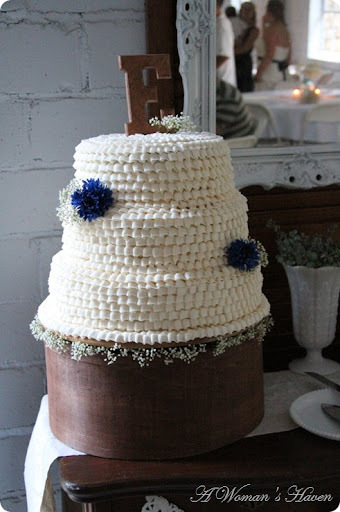 Our cake on top of one of the old cheese boxes. These are all so cute! 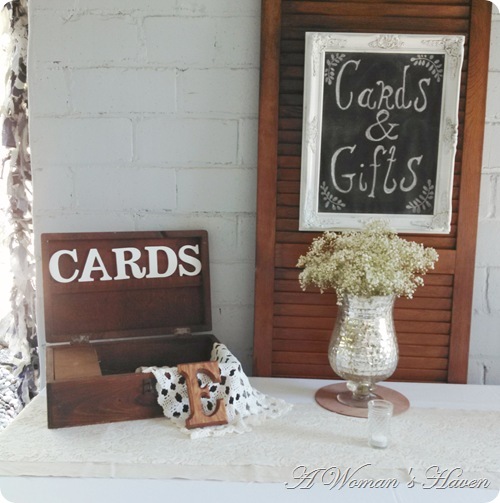 I love how you found mainly thrifted items and turned them into such lovely little wedding displays. I'm going to show this to my friend getting married in January as I'm sure it will inspire her too!